I have been doing a LOT of hand sewing lately. Over the years, I have tried all kinds of thimbles. 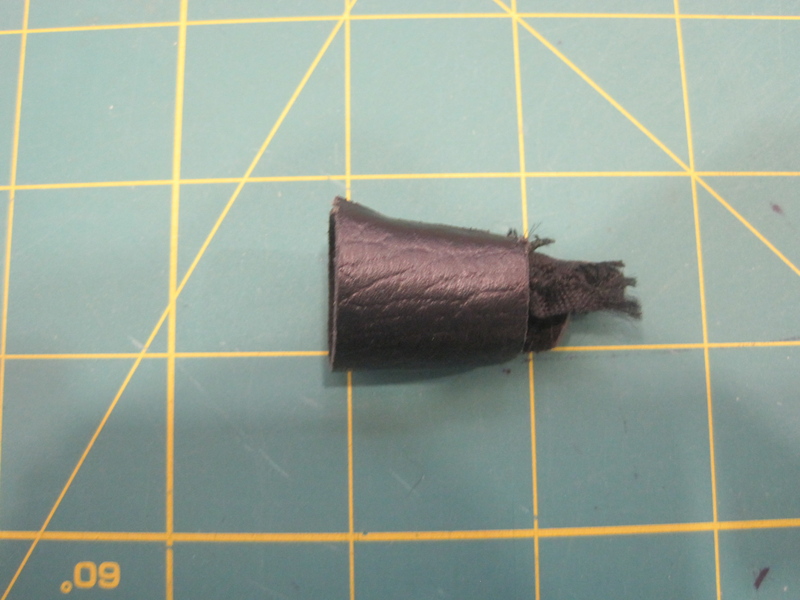 My favorite store-bought thimble is a leather one, but I keep blowing them out. 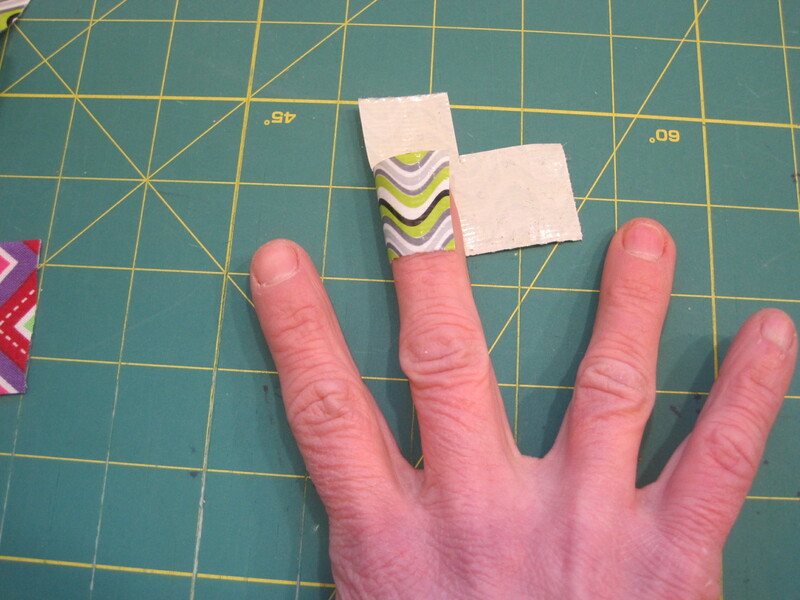 Once, while out in McCarthy, I forgot to bring a thimble, and Walt suggested I make one out of Duct Tape. Since then, I tend to prefer the Duct Tape version to a store bought one. Duct Tape is a very versatile materiel. 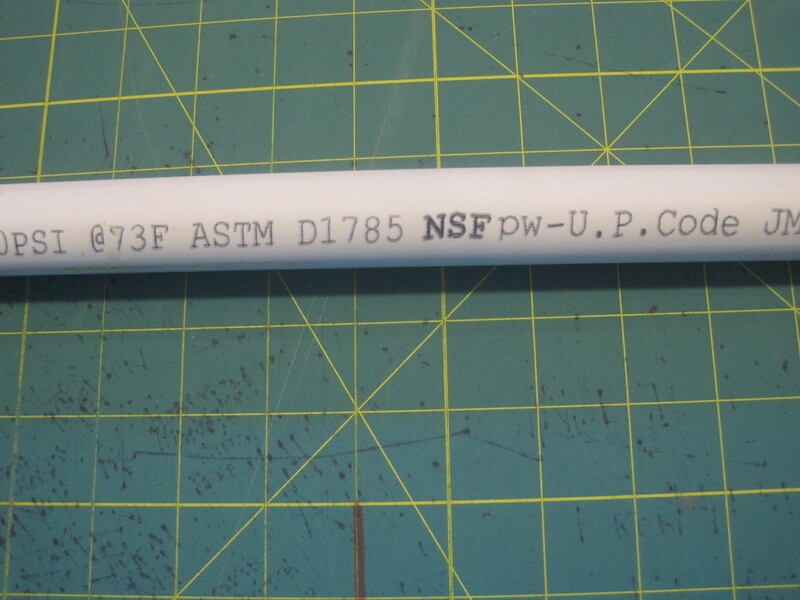 It can be used for mending, building, and fixing just about anything. Just the other day, I saw a Duct Tape fender on a car. 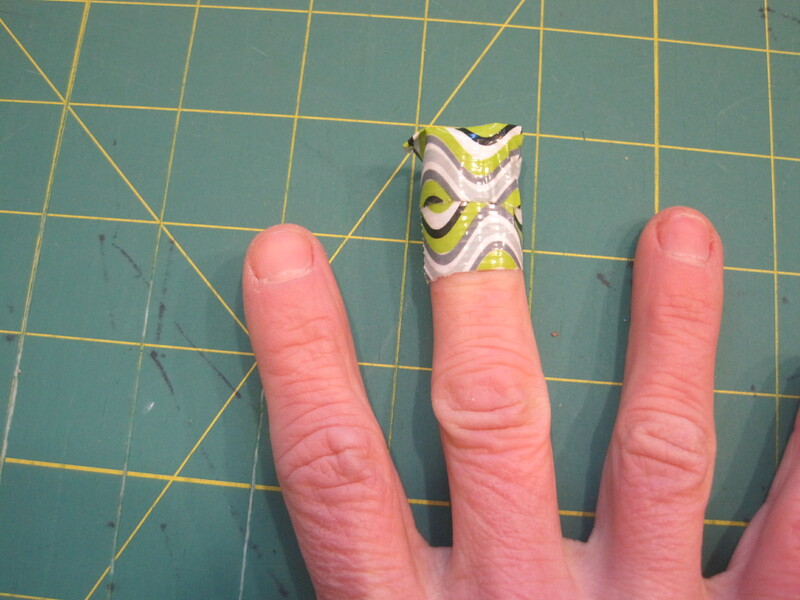 You, too, can make your very one Duct Tape thimble. Select your favorite Duct Tape. I have found that the fancy new colored ones and the non-Duct Tape brand versions are not as strong as your classic silver Duct Tape, but they do work, and they do allow you to make a personal statement. 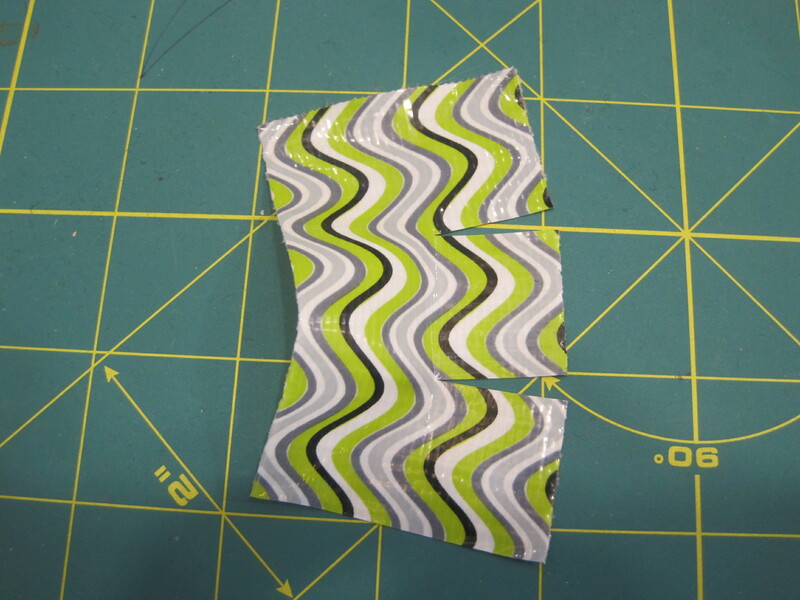 Cut a two inch by three strip of the Duct Tape. 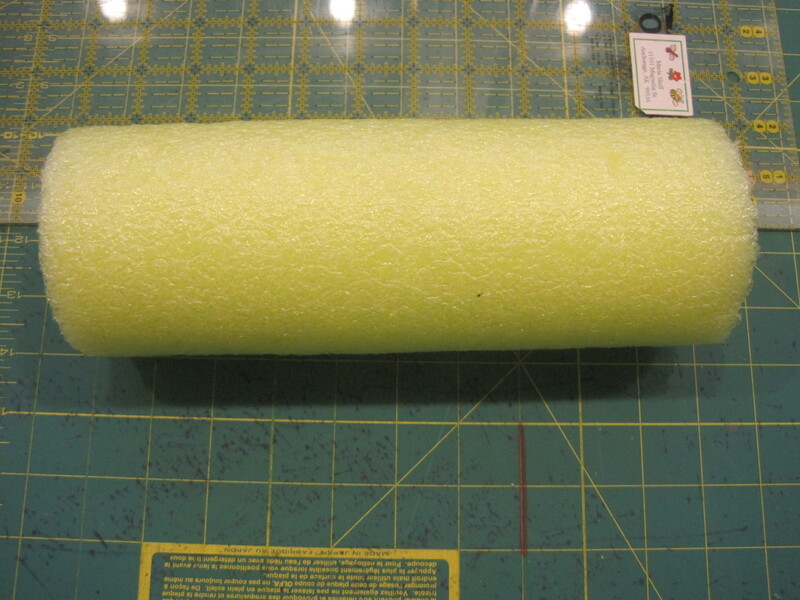 Make two cuts each about an inch into the tape on the long side, so that it looks like this. 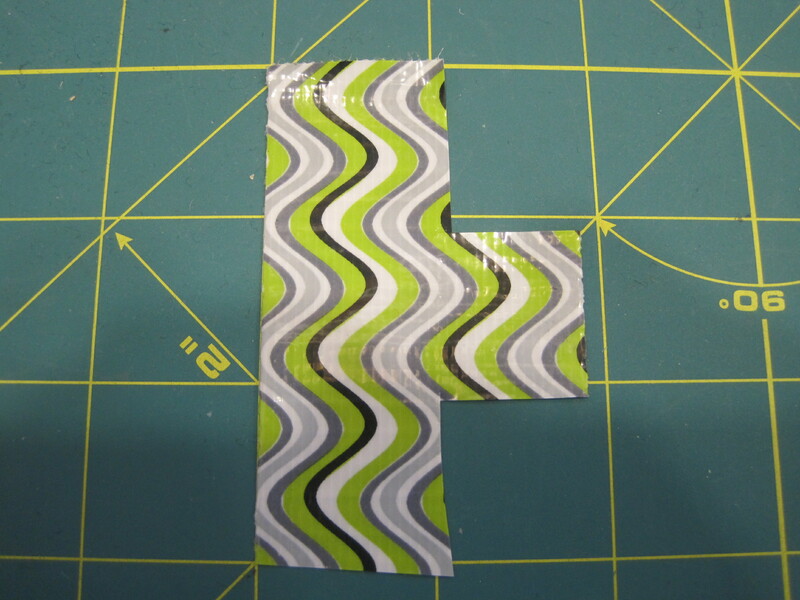 Then make a cut on each short side and remove those two bits to create this shape. Place your finger on the sticky side of the tape. Wrap the two short sides around it. 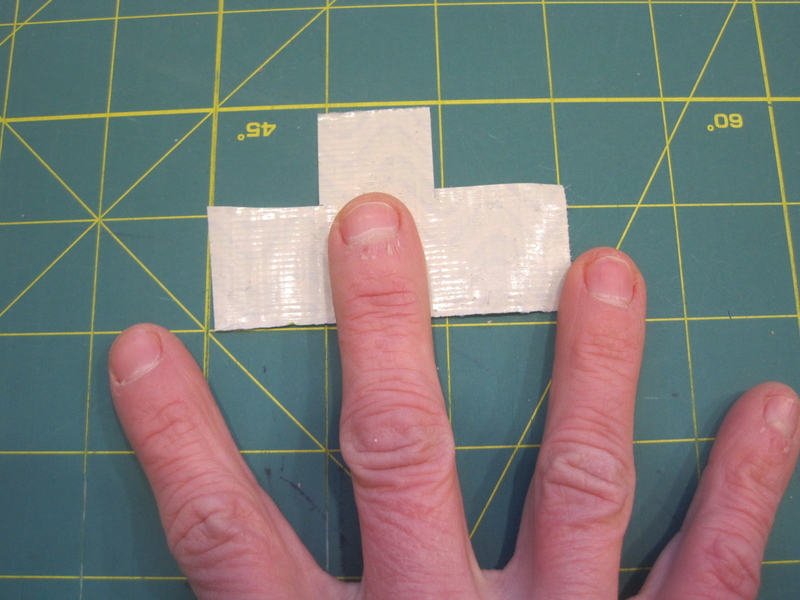 Take the last bit of tape and mold it over the the top of your finger. Viola. 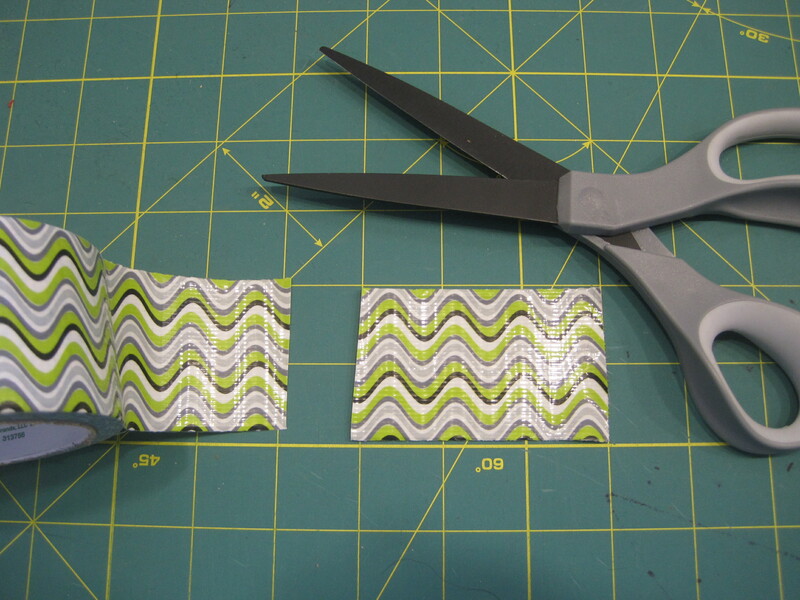 If you are using a off brand, colored, or printed Duct Tape, you might want to repeat the process to create a thicker thimble. 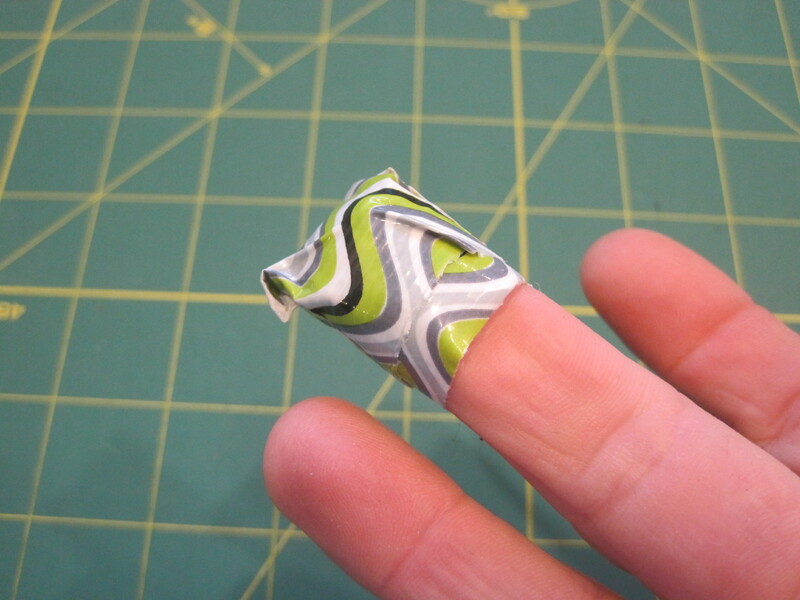 At first the Duct Tape thimble will be adhered to your finger, but as you stitch, the adhesive will wear off, and you will be able to easily take the thimble on and off. We have a very large Duct Tape collection. We actually have a Duct Tape and Sharpie box. These are probably the most used art supplies in our house. Tripp likes to make Duct Tape armor as well as build Duct Tape buildings out of cardboard, and Boppers are a constant in our lives. What are Boppers? They are swimming noodles cut to your preferred size. 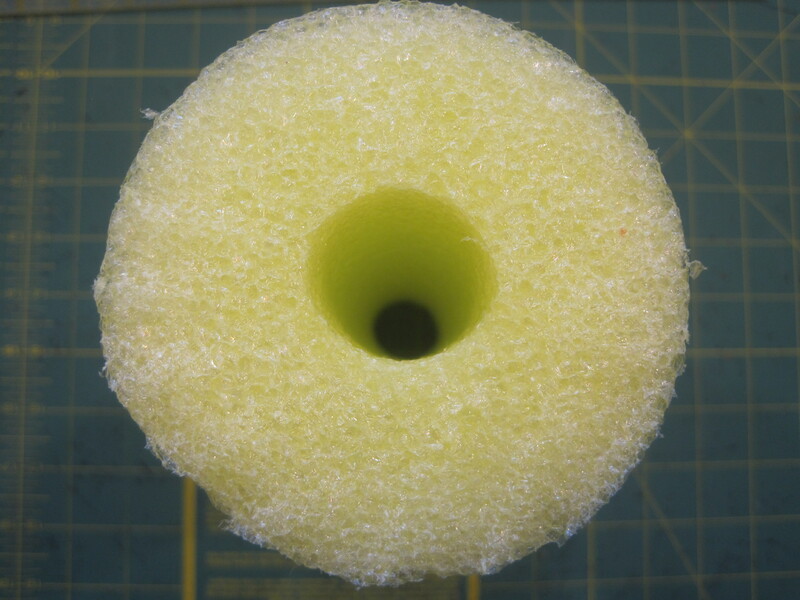 PVC pipe, cut to size and inserted into the swimming noodle’s center. Duct Tape. Lots of Duct Tape. And here you are. You now have bopper. Which means you can do this for hours on end. I think I will stick with the thimble, but it is nice to know that with Duct Tape you have so many creative options. I googled Duct Tape and could not believe all the wackiness going on out there. 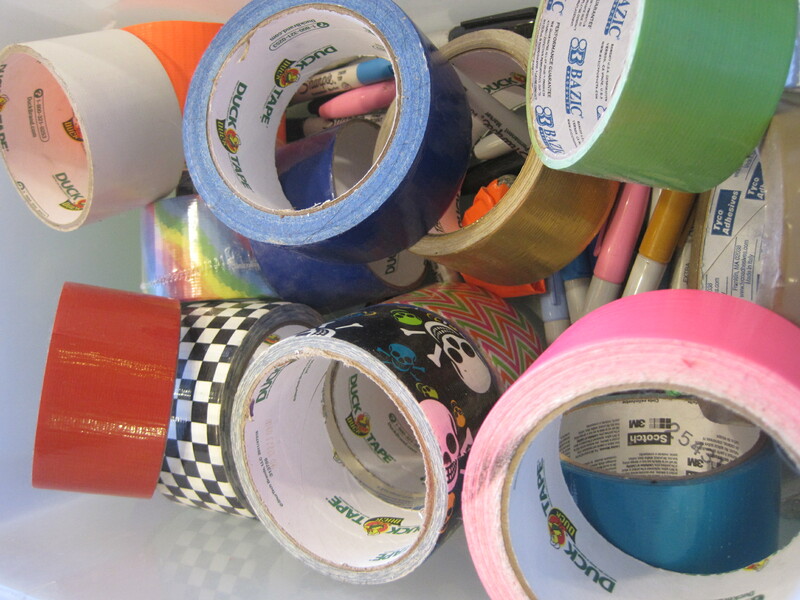 Do you have a Duct Tape story or tip? Please do share. 11 Feb	This entry was published on February 11, 2014 at 1:09 PM. It’s filed under Just Plain Stories and tagged Boppers, Duct Tape Thimble. Bookmark the permalink. Follow any comments here with the RSS feed for this post. 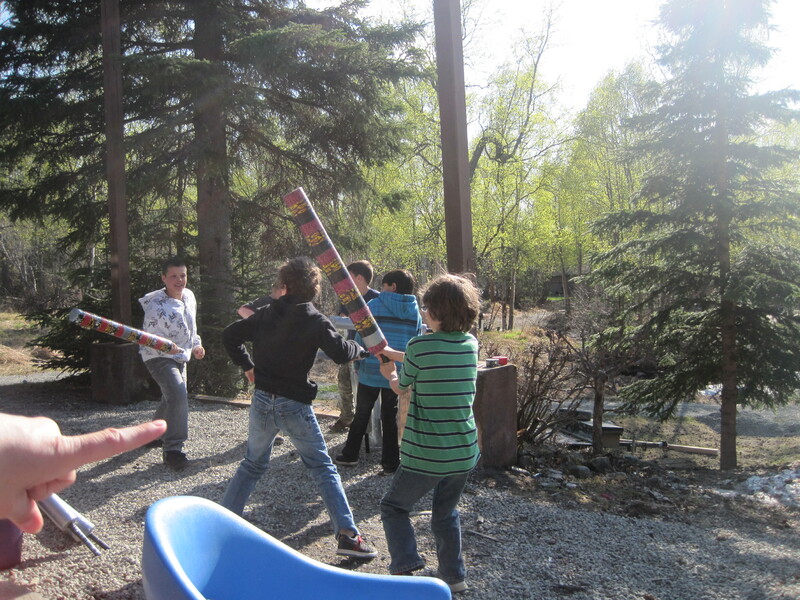 Boys, boys, boys…love the picture of the guys with boppers! I love it too, but maybe not so much when it is happening in my studio! Snort! Lugs me some duck tape! Barb- I am sure you Canadians must have some creative uses for Duct Tape, don’t you? Made a water bottle/duct tape raft on a cruise one year, going to Hawaii. Had to float a case of beer across the pool, and it worked!!! It was huge!!! 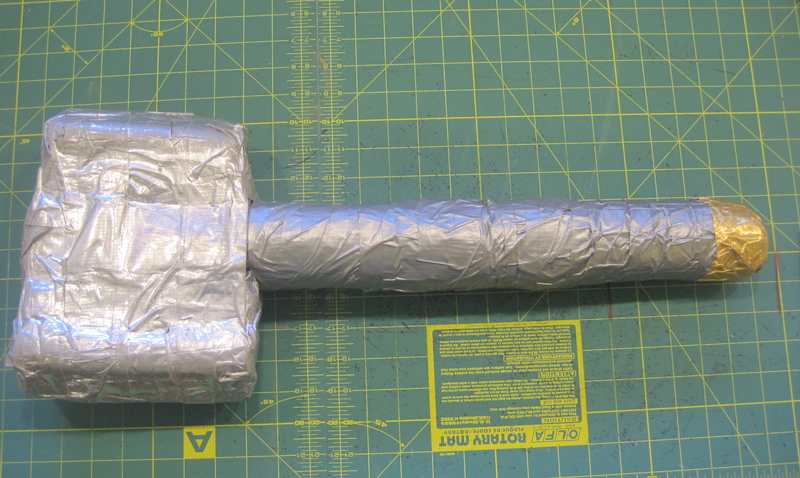 Before pretty duct tape was invented, so it was just silver…but hey, it was the beer/thought that counted! Mary, I love this story. It made me think that the boys and I are going to one for the swimming hole in McCarthy this summer. Thank you for the good idea! Duct tape Dynasty for sure. We have camo Duct Tape Carole! Thank you Mary! I hope some one finds it useful–at least in an emergency situation.